This week on Fieldstone Common our featured guest is Michael Bell, author of the book Food for the Dead: On the Trail of New England’s Vampires. Michael E. Bell was awarded a Ph.D. in Folklore from Indiana University at Bloomington, where his dissertation topic was African-American voodoo practices. He also has an M.A. in Folklore and Mythology from the University of California at Los Angeles, and a B.A. in Anthropology and Archaeology from the University of Arizona, Tucson. For more than twenty-five years, Bell was the Consulting Folklorist at the Rhode Island Historical Preservation & Heritage Commission in Providence, Rhode Island. He has also taught folklore, English, and anthropology at several colleges and universities. 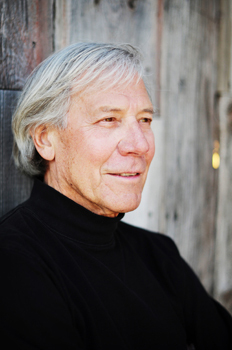 Dr. Bell has served as a scholar or consultant on numerous projects, particularly those concerned with folklore, folk art, oral history, and humanities programs for young adults. These projects have taken a variety of forms, including primary research and fieldwork, exhibits, publications, school curricula, workshops and lectures, festivals, performances, and media productions. In addition to many state and local grants, project funding sources have included the National Endowment for the Humanities, the National Endowment for the Arts, the American Folklife Center at the Library of Congress, and the Smithsonian Institution. Bell has completed a variety of publications and media productions on topics ranging from local legends and the magical black cat bone to the occupational folklife of the shell fishing industry of Narragansett Bay. He lives in Pawtuxet Village, near Providence, Rhode Island. You can learn more about Michael at his website www.foodforthedeadcom.com. Also, check out his schedule of upcoming appearances. For nineteenth-century New Englanders, “vampires” lurked behind tuberculosis. To try to rid their houses and communities from the scourge of the wasting disease, families sometimes relied on folk practices, including exhuming and consuming the bodies of the deceased. Author and folklorist Michael E. Bell spent twenty years pursuing stories of the vampire in New England. While writers like H. P. Lovecraft, Henry David Thoreau, and Amy Lowell drew on portions of these stories in their writings, Bell brings the actual practices to light for the first time. He shows that the belief in vampires was widespread, and, for some families, lasted well into the twentieth century. With humor, insight, and sympathy, he uncovers story upon story of dying men, women, and children who believed they were food for the dead. Trade paperback; 337 pages with appendices, end notes, works cited and some BxW photos. 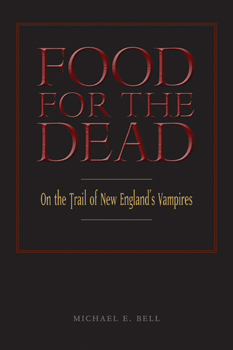 Food for the Dead: On the Trail of New England’s Vampires is available for purchase from Amazon.com and other booksellers. In this interview Michael Bell and I explore the folk stories and folk beliefs behind the tragic epidemic of tuberculosis that lead some New Englanders to believe that they were being sickened and fed upon by the dead. New England vampirism differed greatly with traditional mass media images of Eastern European vampires. In New England the practice arose from the fear and sense of helplessness in combating the spread of tuberculosis. Yet it had the very real consequence of exhuming loved ones who had died from the disease and the ritual treatment of their bodies to put an end to further deaths of family members. Is vampirism in New England for real? Listen to the interview and decide for yourself! Two copies of Food for the Dead were given out to the Fieldstone Common audience courtesy of the Wesleyan University Press. Congratulations to our winners and thanks to the Wesleyan University Press for their generosity in donating the books! Make sure you qualify to win the giveaway next week by signing up for the Bonus List! Once you sign up your are in the running each week! Question: What’s that’s new stuff in the Fieldstone Common title (FC 062)? Answer: That makes it easier, especially for iTunes and other podcast listeners, to keep track of which episode they are listening to. FC stands for Fieldstone Common and 62 is the number of the episode. **** The new Fieldstone Common Season 2 subscription is now available in iTunes. You will need to subscribe to this link to continue receiving episodes in ITunes. Click on the link to subscribe. For those of you who haven’t heard yet, Fieldstone Common is no longer broadcast on Blog Talk Radio. You can listen to the show by clicking the play button above or subscribing in iTunes or other podcatchers.